CC Sunscreens is proud to supply our customers with Textilene brand solar and patio screens. We chose to use Textilene because they are industry leaders in creating extremely durable screens and fabric – made to withstand tremendous solar abuse, as well as all other outdoor elements. Based on multiple questions from our customers – we’ve decided to compile this list of the most pertinent information on Textilene brand screens, fabric and mesh. Textilene is an extremely durable solar screen, patio screen or patio furniture fabric made of tightly woven polyester. Each strand of the polyester is coated with poly-vinyl chloride (PVC) and heat set. This process makes Textilene specifically suited for outdoor use – and protects the screens from abrasions, fading, and sun damage. Biocides are also included in the manufacture of Textilene, reducing the risk of mold or mildew growth. The specially formulated PVC coating also blocks heat transfer – thus keeping heat from passing through it. 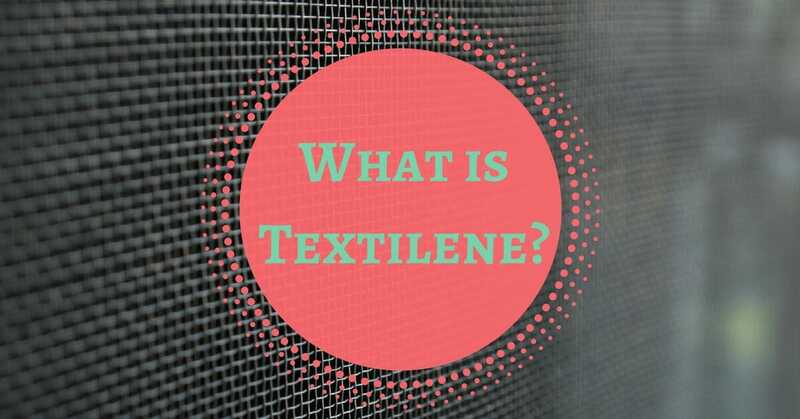 What is Commonly Made From Textilene? Textilene is used for a multitude of products – above and beyond solar screens or patio shades. Not only is it particularly durable, but Textilene is also extremely malleable and can therefore be made into hammocks, patio furniture, and outdoor awnings and umbrellas. It has made a particular name for itself in recent decades as the industry leader for outdoor patio furniture. You may also see Textilene used for commercial needs, such as large outdoor tents and gathering spaces. At CC Sunscreens, customers can choose between Textilene 80 or Textilene 90 for their solar or patio shades. Textilene 80 and 90 offer the same degree of durability and prevent glare, keep heat from transferring, and protect privacy during the day. The difference between these two fabrics is the percentage of UV rays blocked by the screen. Textilene 80, blocks 80% of the sun’s harmful UV rays and Textilene 90 blocks (you guessed it) 90% of UV rays. Using the highest quality material for our screens and patio shades keep your family and wallet protected. It is estimated that solar screens from CC Sunscreens will reduce your energy bill by 25% each and every month – thus paying for themselves in about two years. Not to mention allowing you to participate in SRP’s exciting rebate program as discussed in a recent blog post. Are you ready to test out the quality of Textilene brand sun screens or patio shades? Call CC Sunscreens today to schedule your free, no-obligation, in-home consultation and quote with one of our experts.